A higher yield, not more fees. 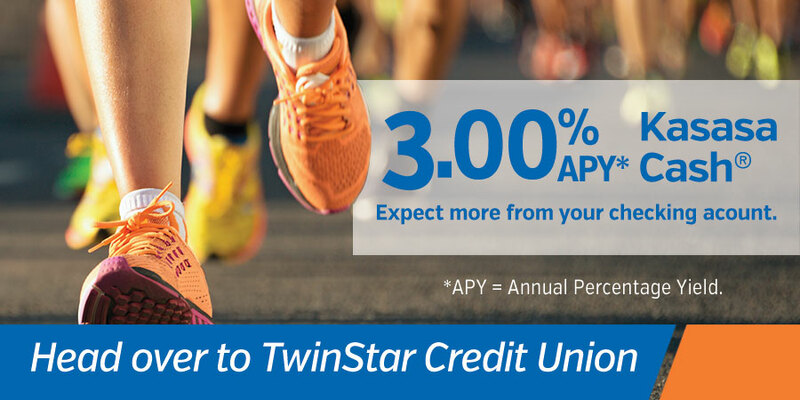 Kasasa Cash checking pays up to 3.00% APY*. But that’s not all. We’ll refund your ATM fees, nationwide. * So you never have to search for a “free” ATM. No minimum balance to earn our highest rates. It’s checking that rewards you in cash each month. All for doing things you’d pretty much do anyway. Join now by opening your account online Call 1-800-258-3115, or stop by any of our neighborhood branches to get started. Kasasa Saver™ puts saving on autopilot with a free, high interest saver account linked to your Kasasa Cash Back checking account. The rewards earned on checking and ATM fee refunds are automatically deposited into the saver account and then additional interest is piled on top. Have more questions? Check out the Frequently Asked Questions for Kasasa Cash checking. One Kasasa® checking per prime member. Members age 18 and older. Rates subject to change at any time. $25 opening deposit qualification. Rewards based on certain qualifications***. Rewards: Premium dividend rate. No ATM surcharge fees when check (debit) card is used at TwinStar ATMs. ATM fee(s) charged by foreign ATMs will be reimbursed up to $20 per account per qualification cycle (applies to debit card ATM fees only – International transaction fees will not be refunded). Kasasa Cash® rewards and ATM surcharge refunds 1) Conduct 12 debit card transactions that post and settle per qualification cycle. Please note that not all transactions are posted the same day they are conducted. ATM transactions and deposits/credits do not count toward the debit card transaction qualification. 2) Sign up for eStatements (valid e-mail address required) and accept the eStatement Consent to Electronic Delivery disclosure. 3) Access Online Banking at least once per qualification cycle. 4) Upon meeting account reward qualifications, dividends are compounded and credited monthly. ** APY Range of 3.00%-0.79% depends on balance maintained, assuming a maximum $100,000 in 2nd tier. ***Qualifications for rewards are calculated from the last day of the month to the day before the last day of the next month (qualification cycle). Kasasa Saver: Minimum to open is $25 for Kasasa Saver. Interest earned in Kasasa Cash is automatically transferred to Kasasa Saver each statement cycle and does not compound. The Kasasa Saver APYs may be less than Kasasa Cash APYs. If qualifications in Kasasa Cash are met each monthly qualification cycle: (1) balances up to $10,000 in Kasasa Saver receive an APY of 1.25%; and (2) balances over $10,000 in Kasasa Saver earn 0.05% interest rate on portion of balance over $10,000, resulting in 1.25% - 0.16% APY depending on the balance. Fees may reduce earnings. If qualifications are not met on Kasasa Cash, all balances in Kasasa Saver earn 0.05% APY. Limit one account per SSN. ATM receipt must be presented for reimbursement of an individual ATM fee of $5.00 or higher.